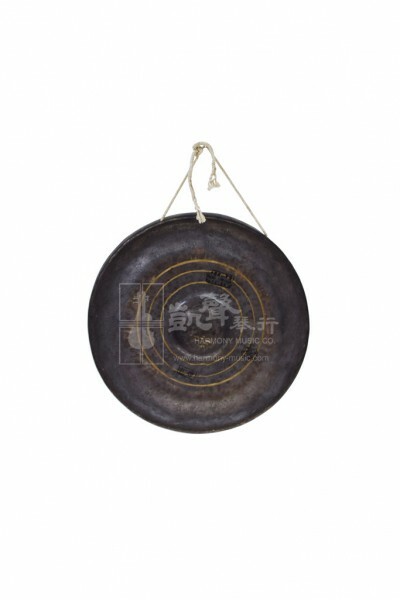 Measures 40 cm in diameter, this Mang Gong produces a clear sound with subtle overtone that is widely used in temples and Chinese operas, such as Kunqu, JinJu and Sichuan Opera. 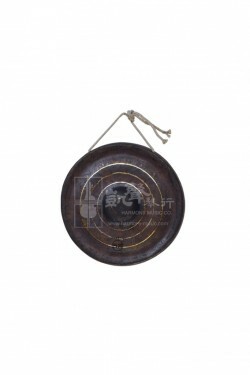 While the material of the Mang Gong is considerably thicker than the Wind Gong, the variety of Mang Gong sizes is designed to create harmonies. Larger Mang Gongs usually possess richer and more mellow sounds while smaller Mang Gongs produce brighter and more crisp tones.